Over the past couple of months a project to build a Chick-fil-A in Manteca has been working its way through the Manteca Planning Commission. The plan has had several modifications based on commission feedback, but it looks like it will soon have approval. 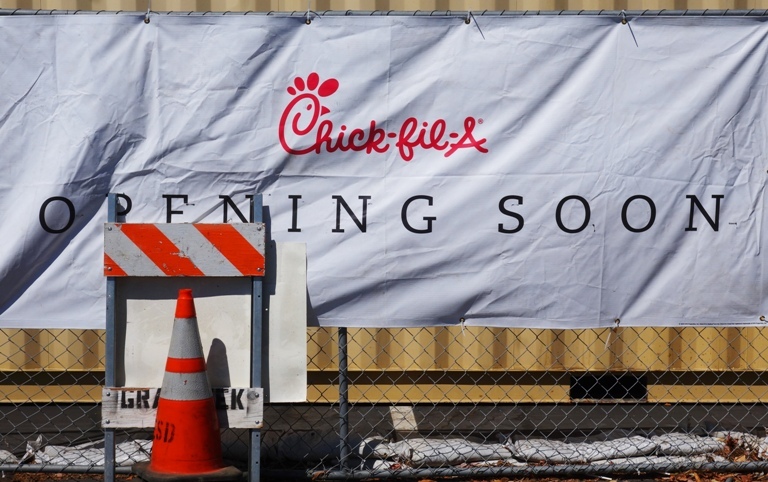 The location of the Chick-fil-A will be near the intersection of Yosemite Avenue and California 99. 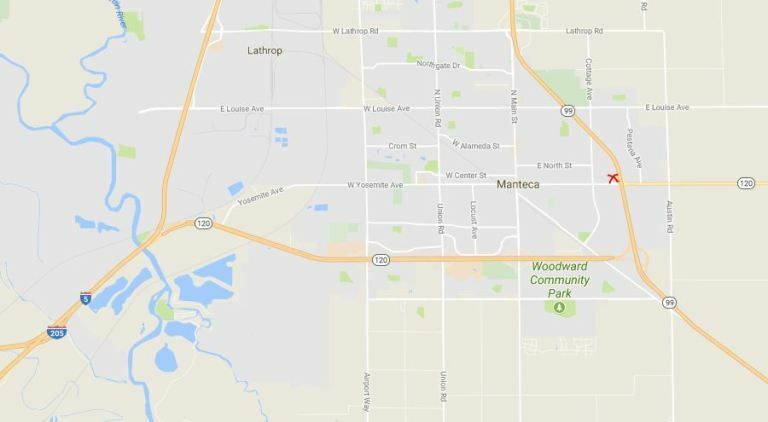 Here is a map showing the location in Manteca. It will be very convenient for people who are heading out to Yosemite on Highway 120. The site where they plan to build the Chick-fil-A is currently occupied by Super Buffet which will be torn down. 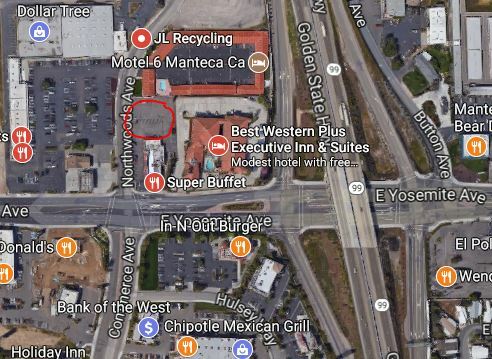 The building for Chick-fil-A will be setback on the north side of the lot so will not be directly on Yosemite Avenue. 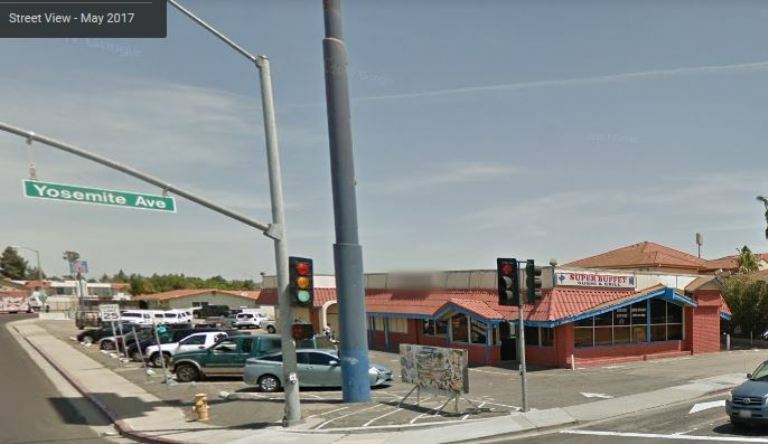 What may not be remembered is that a Chick-fil-A had previously been planned for Manteca and it had received initial approval. The Chick-fil-A was to have been part of the Stadium Square project at Airport Way and Daniels. They received the approval back in 2011. I could not find out why it was never built, but the McDonalds that was part of the project was. The current project is about 16 miles from me whereas the old one would have only been 13 miles. It will definitely be the Closest Chick-fil-A to me. It will be interesting to see how long it will be before construction begins and there is a sign like this at the site. Once construction gets underway I may need to make some trips to one of my favorite used book stores in Manteca to keep track of the progress. This entry was posted in California, Food and tagged Chick-fil-A, Chicken, Construction, Manteca, Opening Soon, restaurants, Yosemite. Bookmark the permalink. 11 Responses to Manteca Chick-fil-A? Is there an update to the progress? I’m anxious for Chick-fil-A to come! Last I heard two weeks ago they had not yet applied for a demolition permit. This will be the first step. Nothing at this point. The Super Buffet is still in business. Have you heard any more on this actually happening? The buffet is still up and running… nothing has changed at all. No, I have not seen anything.